» How Are Long Island Bankruptcy Judges Appointed? How Are Long Island Bankruptcy Judges Appointed? There are three bankruptcy judges in the Central Islip Bankruptcy Court and four bankruptcy judges in the Brooklyn Bankruptcy Court. Each of these judges has been appointed for a 14-year term. Here’s how they got there. Bankruptcy court judges are federal judges. They are considered judicial officers of the U.S. District Court. Congress determines the number of bankruptcy judges in any jurisdiction. 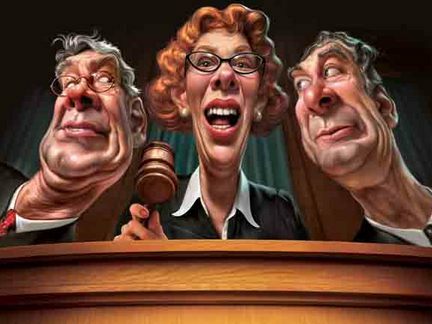 I previously wrote that this country’s bankruptcy judges are overwhelmed with cases because Congress has not designated any new bankruptcy judgeships since 1992 — see Are Bankruptcy Judges Overworked? . When there is a vacancy to an existing bankruptcy judgeship, as there was in the Central Islip Bankruptcy Court two years ago when Judge Cyganowski and Judge Bernstein retired, the Court of Appeals for our jurisdiction, which is the Second Circuit, advertises public notice and solicits applications on a national level. Applicants, who are typically bankruptcy attorneys, can then submit applications to become a bankruptcy judge. A screening committee which is set up by the Second Circuit Court of Appeals then reviews the applications and makes recommendations based on those individuals best qualified to serve as a bankruptcy judge. This committee consists of a panel of circuit judges and district court judges from our district. The screening committee will then make its final recommendations to a committee of judges in the Second Circuit Court of Appeals. A majority of judges in the Circuit Court then appoints the new judge. Several weeks thereafter, the chief circuit court judge will administer an oath to the candidate and swear in the new bankruptcy court judge.